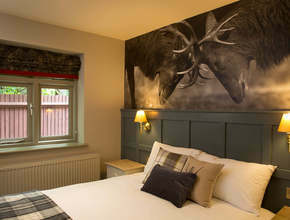 One-night stay at Carnarvon Arms (bed & breakfast), a stone’s throw from Highclere Castle! Shuttle transfers to & from Highclere Castle from Carnarvon Arms (Pickup at approx. 6.15pm and drop-off at around 11pm). 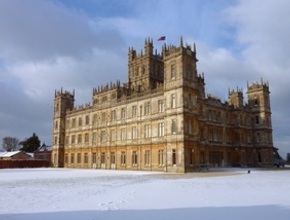 What finer way to welcome in the festive season than by enjoying a quintessentially British Christmas evening at Highclere Castle, the setting of Downton Abbey. As a one off special event, and exclusive to Premium Tours, the Earl and Countess of Carnarvon will open their home, one of England’s most beautiful and finest Victorian castles, for a truly memorable celebration. Christmas Ball at Highclere Castle, as seen in the Downton Abbey TV series - Driving up the long winding entrance, guests will notice the avenue of small Christmas trees ushering us towards the imposing doorway, behind which is a warming open fire and giant decorated tree. Guests will be welcomed into The Saloon at the very heart of the Castle, to enjoy a champagne and canapé reception. 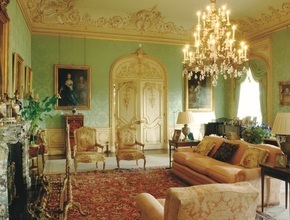 The Drawing room, The Music room and The Smoking room will also be open for guests to enjoy with Highclere guides on hand in the main State Rooms to answer any questions regarding the history of the building, artwork, furniture and even the filming of Downton Abbey. Champagne and canapés will be served throughout the reception and then following a short welcome, we will be called into the library for dinner. The three course meal is an absolute treat, prepared in the Highclere kitchens, using local produce and offering a choice of starter, main course and pudding, including; Slow roasted fillet of beef, baked “Goldcross” goat’s cheese, and a mouth-watering classic lemon citrus tart, all served with a choice of white and red wine. There will even be Christmas crackers on the table and a free raffle with various prizes including signed copies of Lady Carnarvon’s novel – Lady Catherine, the Real Downton Abbey, and Eurostar tickets to Paris, chocolates and Champagne. Sit back and enjoy the fun while being served coffee and petit fours – who knows there may even be a surprise visit from Lord and Lady Carnarvon themselves! Finally, to end the evening, we head back into the saloon to stand by the fire and tree to listen to the local choristers perform Christmas Carols for us from the staircase before the night is over. You will be transferred back to the hotel around 11pm. Day 2 – After a breakfast, relax until the check-out at 11am. Vegetarian meal and other dietary requirements must be requested at the time of booking. No photography allowed inside the castle. Booking conditions: Once booked there are no refunds or amendments.